Many cultures around the world have a mask-making tradition. 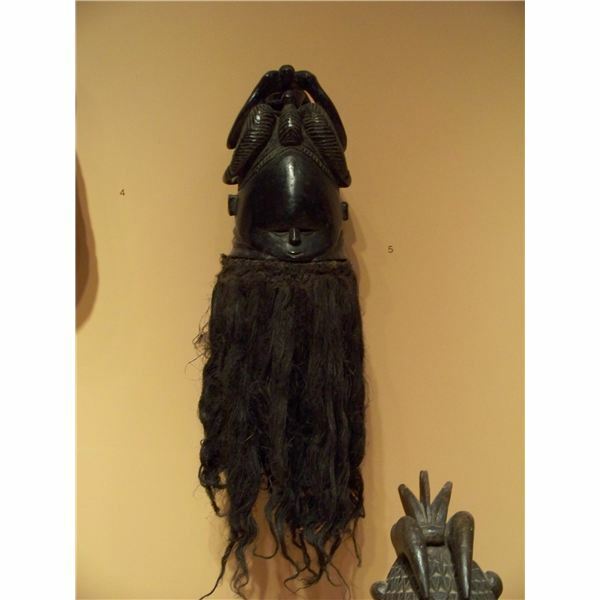 In Africa, this tradition has been carried into the present day as masks continue to be a large part of spiritual practice, ceremonies, story-telling and decoration. Tribes that continue to craft masks do so using techniques and styles of their ancestors. This makes it possible to distinguish between the masks of different tribes by taking note of shape, color patterns, subject matter and materials. 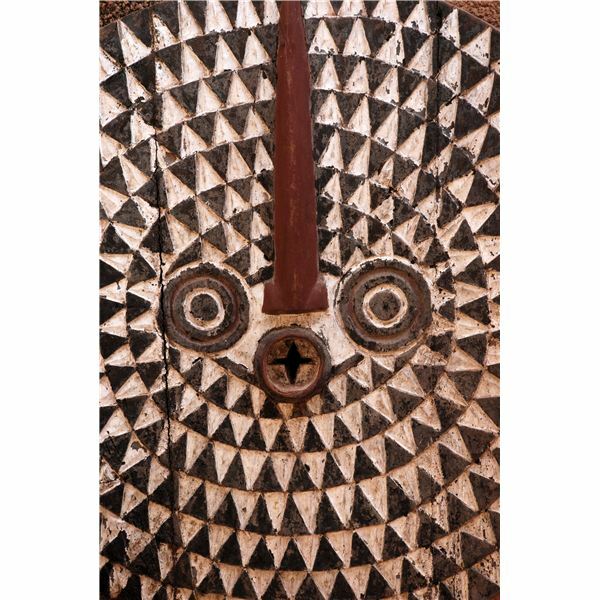 Before you learn how to make an African mask out of papier-mâché, look at pictures of real African masks. Read stories that feature the characters depicted on masks to gain a better understanding of the art form. Decide if you would like your mask to be wearable or decorative so that practical considerations, such as breathing holes, will not be overlooked during construction. Remember, always gain an adult's permission before using sharp scissors or hot glue. And never start a project without asking. Papier-mâché can be very messy, so be sure to clear your workspace and protect surfaces by laying out a few sheets of newspaper. The frame provides a sturdy base for your paper mache mask. If you choose to work without a frame, your mask will have less dimension and may lose its shape as it dries. You may make a frame out of any material as long as it can withstand the moisture of the papier-mâché paste. Make the frame before mixing the paste so that your hands are clean and dry when using scissors. Cut a cereal box into 1/2-1 inch wide strips. Tape two strips together, end to end. Wrap the strips around your face. Hold them together where they overlap. Tape the strips where they overlap and trim the excess cardboard. Test the loop to ensure it still fits around your face. Tape a strip of cardboard from the top of the loop to the bottom to form a central support. Tape a second strip across the first to form a "t." Secure the sides of the strip to the cardboard ring. Clean the bottle and remove the label. Trim the top and bottom of the bottle to remove the cap and base. Cut the bottle in half the long way. Beginning and ending at least 1 inch from the edge, cut four, straight slits. These slots will allow moisture to evaporate as the paper mache dries. Tape or hot glue the scraps of plastic to the bottle to add additional curves for facial features. Fill a bowl with shredded paper. Any non-glossy paper may be used. Add warm water gradually until the paper is covered. Use a wooden spoon or your hands to rip and tear the paper until it is pulpy. Drain the excess water, until the pulp no longer floats. The pulp should remain very wet, and water will still fill the bottom of the bowl. Add 1 cup of glue, 1/4 cup at a time. Stir between additions. Roll pulp in palms to form a loose ball. If the pulp fails to hold its shape add more glue, 1/4 cup at a time. Using a 12"x12" sheet of cardboard as a base, build a mask base with the pulp. Pile and pinch the pulp into the desired shape as you would clay. Dry for 2 days in a well-ventilated area. Open the newspaper on a flat surface. Hold the ruler about 1 inch from the edge of the paper. Lift the corner of the paper, and use the edge of the ruler to tear a straight line. Slide the ruler along the paper and continue tearing. Place ripped paper in a plastic bag. Pour 2/3 cup white glue and 1/3 cup warm water into a bowl and stir. Test the consistency of the mixture using a plastic spoon. If the spoon stands upright in the paste, add water 1/8 cup at a time. Adjust the measurement for a larger or smaller batch by mixing 2 parts glue to 1 part water. Submerge a strip of newspaper in the papier-mâché paste. Remove the strip, sliding it between two fingers to remove excess paste. Lay the strip over the frame. Continue layering strips of paper to form a smooth surface. Build facial features by molding wet strips into the desired shapes. Dry for 2-3 days in a well-ventilated area. Masks that are not properly dried may mold from trapped moisture. There are as many ways to decorate your mask as there are African tribes. Base your design off of an existing mask or make up your own characters. You can even make masks of people you know in a tribal style. To achieve a wood tone mask, use brown paper for the final layers instead of newspaper. This will give the finished mask a rough, brown surface–like carved wood. Paint the dry mask sparingly to preserve the color of the bag. Mimic thick, wood grain by gluing thread or string to the mask. Paint over the string. 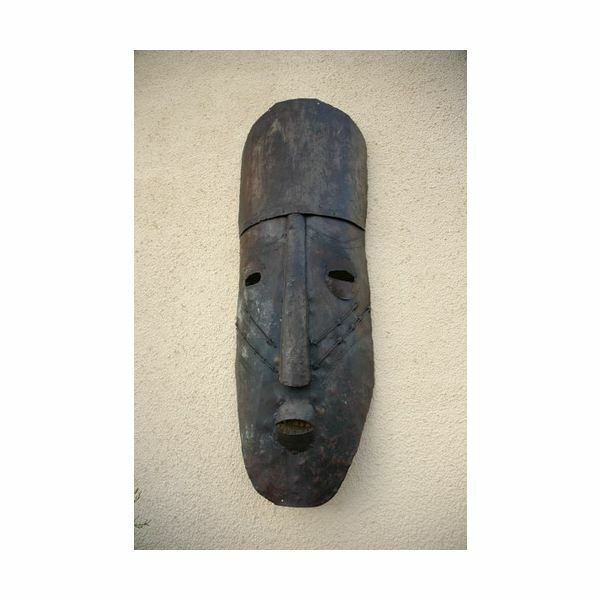 Bronze is also a popular material in African mask-making. Simulate bronze by painting the mask with wood glue. Dry and repeat until 3-4 layers have been built up. Then sand the mask to achieve a smooth surface. Spray with metallic spray paint, and embellish with hand-painted details. Apply a thin layer of plaster or cement to the surface of the mask to give a stony appearance. If you are basing your design off of an existing mask, print a photo to use as a reference. Divide the design into sections and mark the color blocks using a pencil or marker. Glue beads and plastic gems onto the surface to simulate precious stones or glass. Now that you know how to make an African mask from papier-mâché, let your creative juices flow!